Symbiosis Gathering returned to the Woodward reservoir this past weekend for what very well may be the last time. The four-day long festival that focused on multiple disciplines including music, art, dance, sustainability, communal living, and meditation, wasn’t even supposed to occur in 2016 at all. 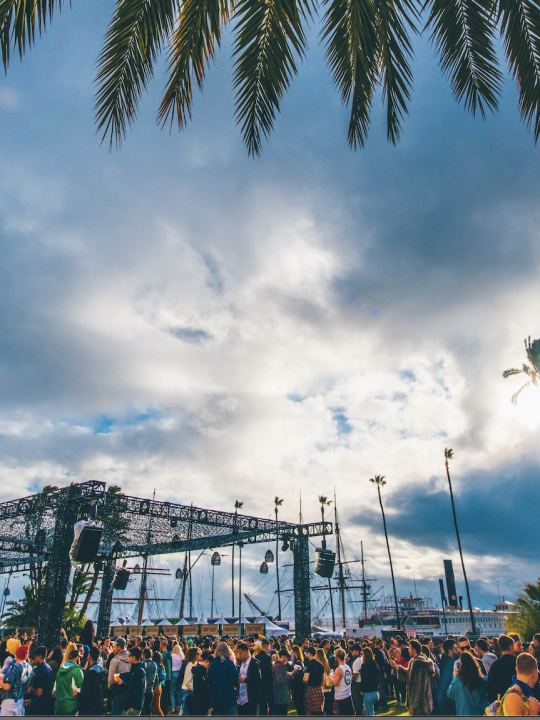 Before 2016, Symbiosis has never stayed in the same location for more than two years. Combine that nomadic spirit with the huge move to Oregon next August, and it’s not surprising that a 2016 gathering at Woodward was not to be expected despite how commercially viable it may have been. Obviously there was a 2016 gathering, but the reason Symbiosis returned to Woodward did pertain to profit, brand recgonition, or any other commercial reasons. Symbiosis returned to Woodward for a family reunion. Hence the title: “Family Tree”. Now that the general public is more interested in festivals outside of the mainstream, I feel like “family values” are something that many festivals are trying to instill in their ethos. This is not a bad model to follow by any means, and many festivals have found success using it. But where other festivals adopted this understanding of family values, Symbiosis was founded on them. The Symbiosis family has existed as long as Symbiosis has been held, and it includes absolutely everyone involved in the festival from the volunteers, to the security, to the artists. When asked, neither KoChen or gathering founder Bosque Hrbek who was also present, could give an exact number of tickets sold. This might not seem like a big deal, but one of the first things you’ll see in a festival review is usually an attendance count. When it comes down to it, that’s the number that determines how profitable the festival was, and profitability is often understood to be synonymous with success. Profitability, however, is not the first priority when it comes to Symbiosis. What they knew is that about 16,000 people were on site including staff, attendees, volunteers, artists. Symbiosis is based around the idea of bringing people into the family, and all 16,000 of those people were a part of that family. “[Symbiosis] is a family affair,” said Sidecar Tommy of Beats Antique in an interview. Beats Antique was listed along with Claude VonStroke as “All Star Family” on the lineup poster, and both of those artists have played Symbiosis at least two times before this year. While this is not uncommon the world of festivals (The Red Hot Chili Peppers have headlined Coachella 3 times), Symbiosis doesn’t offer the same kind of opportunity to gain commercial appeal or expand fanbases as Coachella or an Insomniac event. When the Black Keys rose from another name on the Coachella lineup to headlining the festival, thats something the general public notices. On the other hand, most of the general public didn’t even know Symbiosis existed until a couple years ago. Tommy explained that the reason Beats Antique along with Damian Lazarus, Flying Lotus, Claude, his Dirtybirds, and plenty of other artists have come back to Symbiosis multiple times is because Symbiosis has made these artists into a family. “[Symbiosis] provides us all a chance to hang out together.” Tommy said. “Through Burning Man and stuff we’ve realized we all really love each other and we want to do this together as much as possible. So it’s cool when you get to do it with your friends.” Tommy said. What a lot of attendees don’t realize about festivals is that even though they’re on site for days, many of the artists consider them just another gig. Plenty of times artists either have a gig the day before or the day after and can’t be there for more than an hour or two prior too or following their set. This was surely the case for some of the artists at Symbiosis, but there were plenty of artists who I personally saw roaming the grounds all throughout the weekend. Lee Foss was seen partying at Claude’s set even though he played the day after. 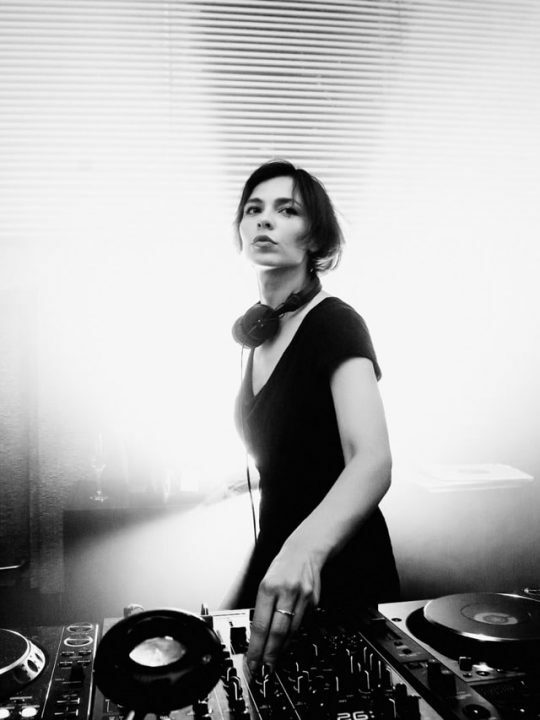 Ardalan’s eyes were fixed on Seth Troxler’s masterful DJing after doing his monster 4-hour back-to-back with Worthy and Christian Martin earlier that day. All three of them had solo sets at other times during the gathering too. “The way Symbiosis is…you hang out with the other artists a lot more, and it feels like we always want to stay longer,” Tommy said. Nobody forces the DJs to stick around. All of these artists wanted to be at the gathering with their family that was formed by the gathering; a family that Sidecar Tommy made very clear includes everyone there. That’s where the magic of Symbiosis truly lies. By opening those lines of creativity for anyone and everyone to tap into, everyone present has the ability to connect with the environment and the people surrounding them. It was the gathering’s job to guide everyone towards those lines, and that job was completed in a spectacular fashion. Unfortunately like many family gatherings in real life, something is bound to go wrong. Luckily for the case of Symbiosis, that part was dealt with as early as possible as I am referring to the arrival. I got there on Wednesday and the GA will-call line to pick up the early arrival wristbands took upwards of two hours. On Thursday, people had to wait in their cars for upwards of five hours before even reaching the gate into the venue. Soon after that, everyone who was camping with a car was hit with the harsh reality that the camping area was no longer a first-come-first-serve operation. Less-than-informed parking guides were doing their best to make the situation work, but often times it didn’t work and many campers who expected to get a prime lakefront campsite because they got there early were sadly mistaken. Beyond that though, every aspect of the festival was geared toward making thousands of people who don’t know each other into one big family. Like many festivals, the most prevalent method of interaction was music. 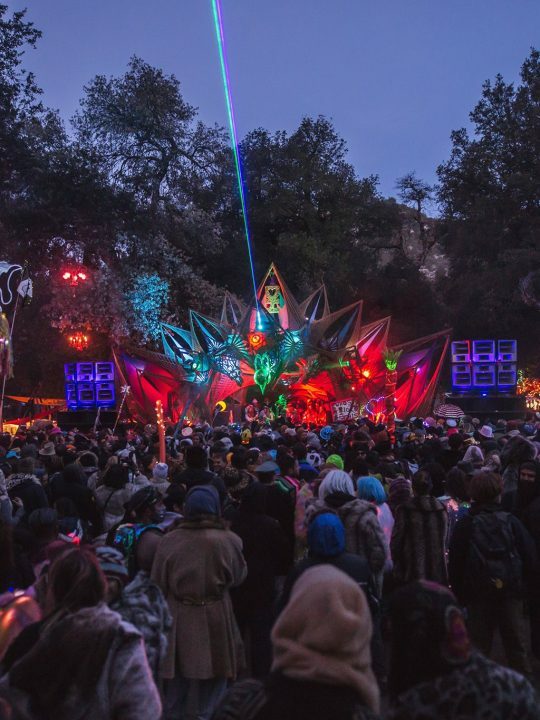 Symbiosis’s lineup this year was as diverse as it was incredible and the familial environment lead to many artist’s playing sets that were adventurous to say the least. Just as with everything though, having a great lineup wasn’t the only factor being considered when the artists were booked. So even though there were notable names like RL Grime and Justin Martin on the lineup, the time and place at which they played lent itself more to having attendees explore the grounds and interact with their surroundings as opposed to having the biggest crowd possible. RL played MainStage as he was one of the eight “headliners”, but he was the only DJ to do so. Other acts that played the stage that day were the electro-jazz group Dirtwire, the Bluegrass duo Rising Appalachia, and fellow headliner Santogold. If there’s anything these acts have in common besides the fact that they are musicians, I can’t discern what it is. If someone was hoping they’d find the biggest in EDM at MainStage all weekend, they would be sadly disappointed. If they were looking for a swath of diverse music, they couldn’t be any happier with it. Other than Main Stage’s eclecticism, stages like Juke Lagoon, the Big Top, and the Grotto would alternate genres throughout the weekend. That way, if someone’s true goal of the festival was to hear the most booming-bass-beats the whole time, that person would have no choice but to traverse the festival grounds searching for it. 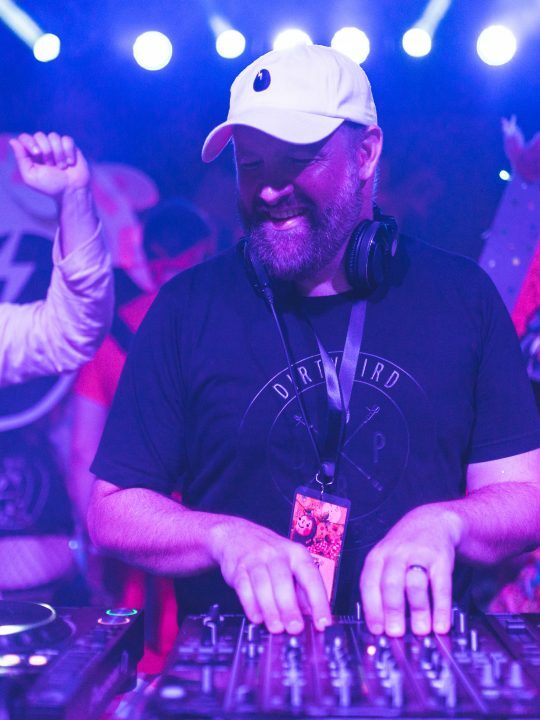 Justin Martin closed out the weekend at the Grotto after his Dirtybird partner Ardalan, but this placement should not indicate the the Grotto was the spot for house music all weekend long. 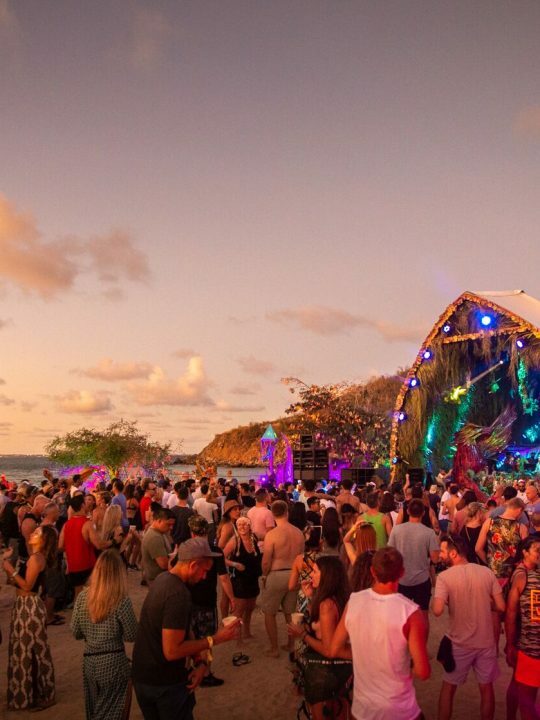 Unlike many other festivals who have branded their stages throughout their years of evolution, Symbiosis purposefully rebrands their stages every night. 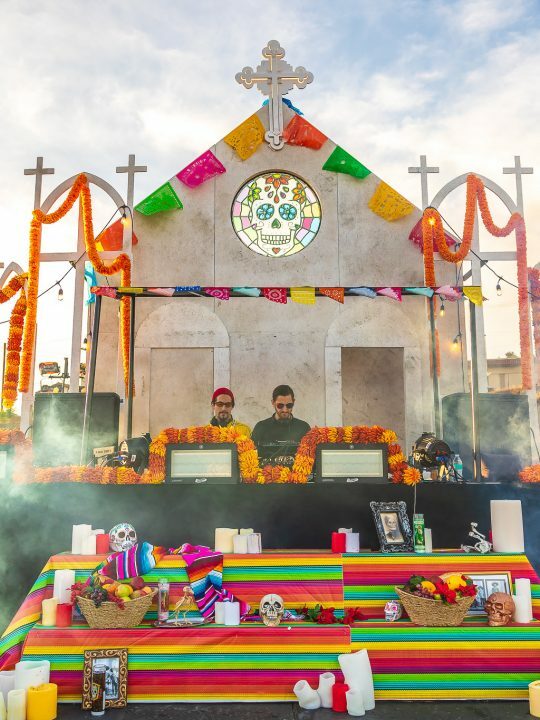 The Grotto was house heaven on Sunday and Friday (Claude VonStroke played on Friday), but on Thursday the Grotto was a bass haven offering sets by festival favorites Mimosa and An-Ten-Nae, and on Saturday, Psy-Trance descended upon the Grotto in full grueling force. That’s how it goes at Symbiosis. Artists aren’t booked on the same stage based on anything besides the environment that stage is meant to curate, which leads to all the stages representing numerous genres throughout the weekend. 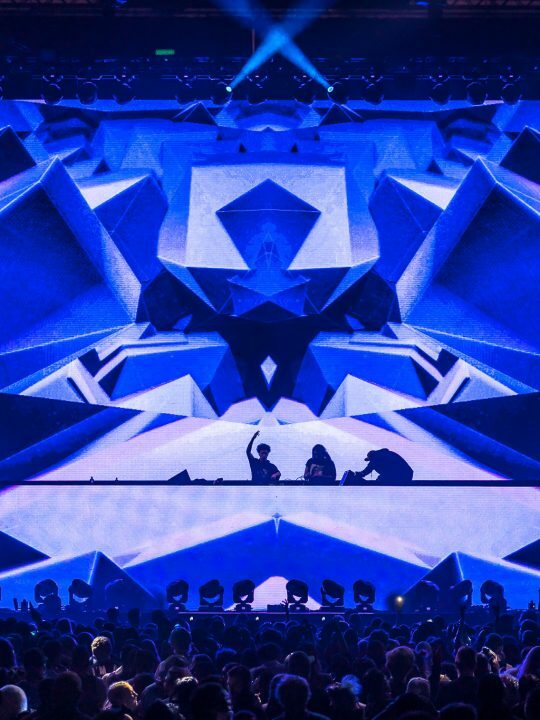 When festival stages only play one style throughout an entire event, the lines of creativity aren’t opened in the same way as Symbiosis because many attendees will fall into a routine. They’ll spend the whole festival hanging out at one stage and are likely to not even see everything the festival has to offer. By being forced to travel across the grounds to find specific genres, the amount of interaction between fellow attendees and staff is exponentially increased. 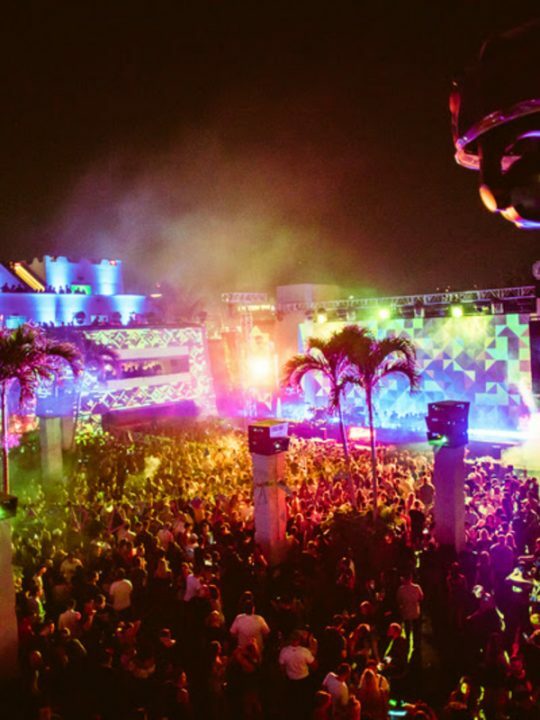 Bass-heads will cross paths with house-heads and trance-lovers as they each move across the festival searching for their chosen Mecca for the evening. Sure these interactions may be brief instances like a smile or nod, but at the end of the day the extent of such interactions depends on the individual. If that individual is determined to remain introverted then so be it, but Symbiosis certainly creates opportunities to become familiar with your new family, and the music is just the one of the ways they do so. The bulk of the festival is on a peninsula separate from the campgrounds so literally from the moment you decide you’d like to make the journey into the main area, your interaction with your new family would begin. Everyone had to follow the same path to reach the grounds, and the path is lined with installations like the Jive Joint for far-winded travelers to take a rest and watch some goody stuff go down. Even before you could reach the main music stages, travelers had to choose between passing through the marketplace and doing a lap around the Village, both of which would put attendees in a hot spot to meet new family members. The Marketplace is just what it sounds like, a marketplace. The same way as when you hit the 3rd Street Promenade on a Saturday afternoon, the marketplace at Symbiosis was a bustling center of industry. This furthered the idea that everyone at Symbiosis is a family by putting attendees in direct contact with vendors. The various booths created such a narrow pathway that it was impossible for someone to walk through the marketplace without seeing something or someone that opened the creative lines. Vendors stood outside their booths and shouted to on-comers like in a Middle-Eastern bazaar. Interactive artists showed samples of their work and allowed interested patrons to give them a try. At night, many of the booths would close, but there would still be one or two open, offering intimate talks on the various art forms represented by the marketplace. If someone chose to make their way through the village, then there was no way they wouldn’t spend more time there then they expected. The Village was the educational establishment of Symbiosis, and in it one could find family members that share any manner of their interests. It’s there one would find the family camp and kidzbiosis if you already had a little family of your own. There were also courses on meditation, communal living, yoga, nutrition, and more but in the familial nature of Symbiosis, none of the classes I witnessed followed the teacher-student model. Often times I would see people sitting in a circle or the speaker moving through the large crowd to feel the energy of their environment. There was even a tent called “soberbiosis” so those who chose the sober route had a place to vibe with people in the same mindset, if not just to chill out for a little while. Overall, the thing about family is that it’s in escapable. No one gets to choose their family, and even if they spend their whole life running from them, they will still share that unbreakable bond. Of course, everyone who attended Symbiosis made the choice to do so, but they certainly could not choose who else would be attending, and most couldn’t make any real changes to the festival on a larger scale. However, because Symbiosis was put together in such spectacular fashion, the familial bonds were allowed to go as deep as they did. The combination of how well Symbiosis went with the comprehensive desire of the attendees to become a part of this family allowed the lines of creativity that Symbiosis provides to open in a way I’ve never experienced before at a festival. Many people don’t go into a festival with the idea that they are joining a family, but Symbiosis was founded on family values. The people who set up Symbiosis have been building this family since the beginning, and even though they didn’t originally plan to, they couldn’t pass up another opportunity to let that family grow.